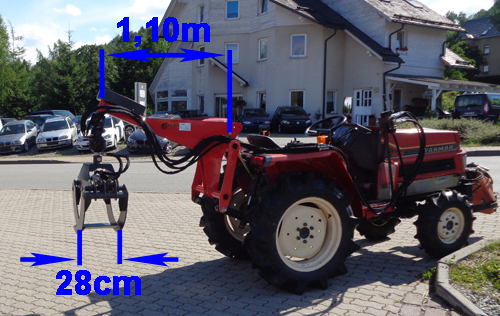 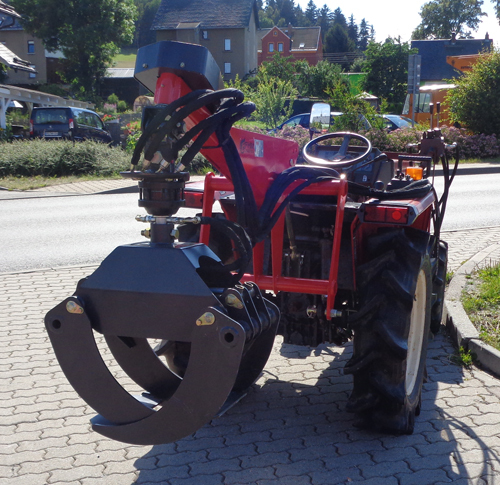 The reclaimer can be connected to the rear three-point of the tractor. 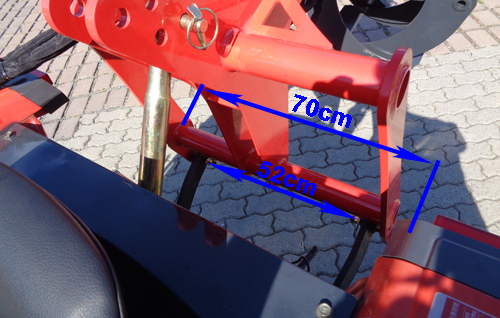 The Connection to KAT 1 (52 cm) but also the connection to KAT 2 is possible, if you push the retaining bolts (70 cm) outwards. 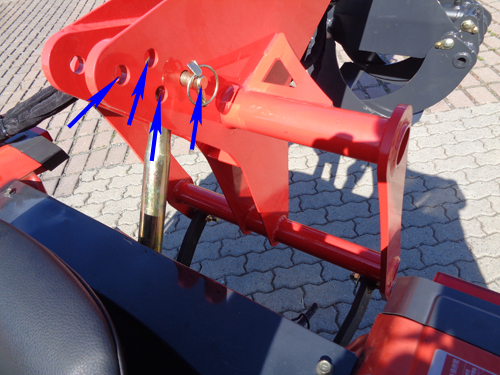 The delivery includes 2m long hoses (4 pieces). 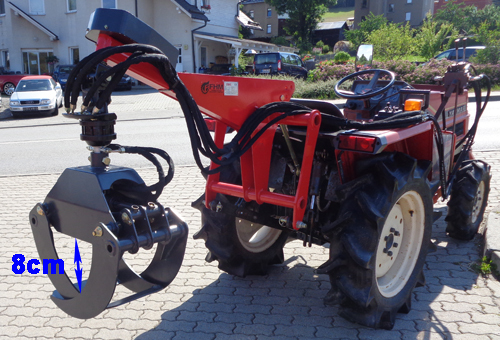 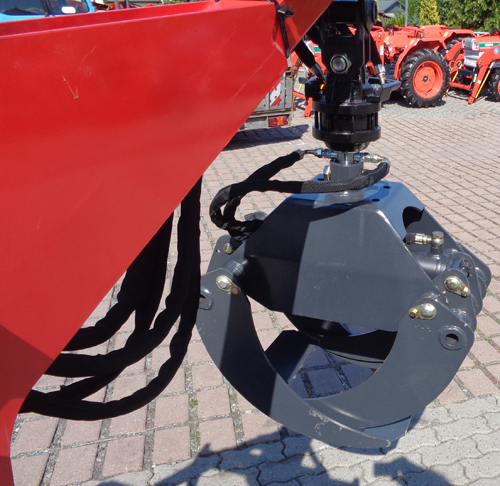 The forestry grapple is suitable for transporting pieces of wood or logs. 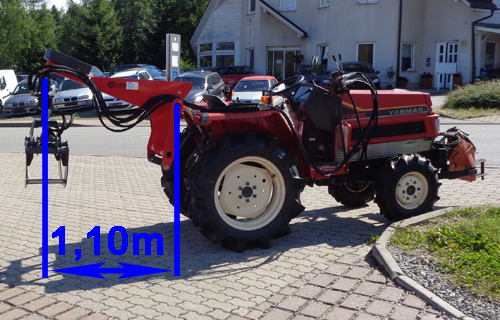 8 cm is the smallest amount with the bucket closed.